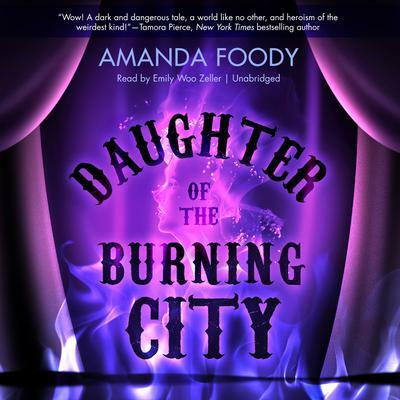 A darkly irresistible new fantasy set in the infamous Gomorrah Festival, a traveling carnival of debauchery that caters to the strangest of dreams and desires Sixteen-year-old Sorina has spent most of her life within the smoldering borders of the Gomorrah Festival. Yet even among the many unusual members of the traveling circus-city, Sorina stands apart as the only illusion-worker born in hundreds of years. This rare talent allows her to create illusions that others can see, feel, and touch, with personalities all their own. Her creations are her family, and together they make up the cast of the festival’s freak show. But no matter how lifelike they may seem, her illusions are still just that—illusions, and not truly real. Or so she has always believed … until one of them is murdered. Desperate to protect her family, Sorina must track down the culprit and determine how they killed a person who doesn’t actually exist. Her search for answers leads her to the self-proclaimed gossip-worker Luca. Their investigation sends them through a haze of political turmoil and forbidden romance, and into the most sinister corners of the festival. But as the killer continues murdering Sorina’s illusions one by one, she must unravel the horrifying truth before all her loved ones disappear. Sixteen-year-old Sorina has spent most of her life within the smoldering borders of the Gomorrah Festival. Yet even among the many unusual members of the traveling circus-city, Sorina stands apart as the only illusion-worker born in hundreds of years. This rare talent allows her to create illusions that others can see, feel, and touch, with personalities all their own. Her creations are her family, and together they make up the cast of the festival’s freak show. But no matter how lifelike they may seem, her illusions are still just that—illusions, and not truly real. Or so she has always believed … until one of them is murdered.